In most parts of the country, purchasers of manufactured homes can only get a conventional fixed-rate mortgage if they buy land along with the mobile home. 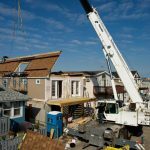 As a consequence, this strictly limits their manufactured home financing options. Almost always, this forces them to turn to one of the few lenders that offer chattel financing. But, in one small part of the country—New Hampshire—this has now changed. For the first time ever, Fannie Mae loans will be available to residents of approved resident-owned communities (also called ROCs) in the Granite State. Forward-thinking New Hampshire residents pioneered ROCs early in the 1980s. The residents of these cooperative communities also own them, in a structure similar to condominiums. New Hampshire law states manufactured homes located in ROCs may be titled as real property. As a result, Fannie and local lender partners were enabled to structure a loan program in the state. The new program features 30-year fixed mortgages offering 95 percent financing. The mortgages offer rates similar to Fannie loans, and lenders offer them to manufactured home owners who own their land. The typical loan will be in the range of $50,000 to $70,000. Ultimately, bankers will securitize these loans and sell them to investors on the secondary market. Fannie began the program this past week, in collaboration with the New Hampshire Housing Finance Authority. For now, the scale remains small, even on a statewide basis. Of New Hampshire’s 123 ROCs, only 10 have received eligibility for Fannie loans. 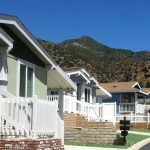 However, advocates say the program could serve as a model for manufactured home financing in other parts of the country. According to estimates made by national nonprofit ROC USA, 1,000 co-op manufactured home communities exist in the country. This number represents only 2 percent of all existing mobile home communities. Still, there is a strong potential for this number to grow. Recent surveys conducted by the Manufactured Housing Institute suggest about 35 percent of all manufactured homes are located in parks. “If we think about the manufactured housing present throughout the country, some of it sits on real property and its own parcel, but a significant amount sits in parks,” remarked P.J. McCarthy, vice president of REO Dispositions at Fannie Mae. New Hampshire has been laying the foundation for Fannie’s program for many years. The Concord, New Hampshire-based nonprofit Community Loan Fund developed a 30-year fixed-rate loan in 2002. This loan has been made available statewide to owners of mobile homes in ROCs. 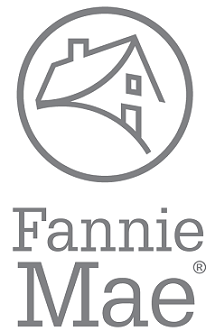 The organization is now responsible for determining a ROC’s eligibility for Fannie’s program. For an ROC to offer Fannie loans to its residents, the Community Loan Fund must first deem it eligible. Specifically, eligibility depends on the fulfillment of certain criteria, like the ROC hosting a certain percentage of lower-income households. The Community Loan Fund handles this application process. The Community Loan Fund also is striving to increase the number of ROCs in the state through financing park purchases. Potentially, this would make more people in the new ROCs eligible for Fannie loans. In New Hampshire, if the owner of a mobile home park intends to sell, mobile home residents have a right of first refusal to purchase the park. A spokesman for ROC USA, a nonprofit spun off from the Community Loan Fund ten years ago, said it is currently developing fixed-rate loan programs in 13 other U.S. states where it is active. Prior to its partnership with the New Hampshire Housing Finance Authority, Fannie purchased only “a handful of loans” from the Community Loan Fund and few other lenders in the state. The latest move marks the first time lenders will offer these loans on any scale.